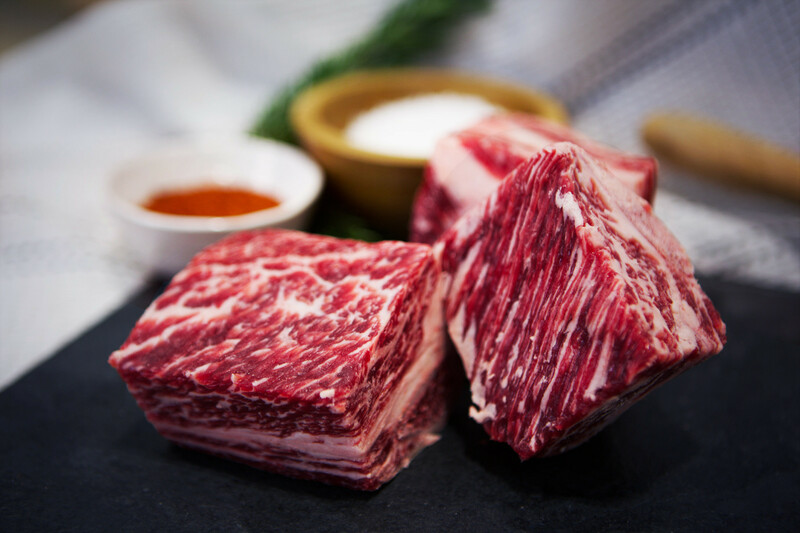 These Wagyu short ribs are brimming with incredible, beefy flavor. Medium tenderness makes these fantastic when braised or slow cooked. Our short ribs require little more than their own perfectly marbled fat for flavoring, but we certainly won’t mind if you use them for a jaw-dropping old fashioned barbecue. Heartier and beefier than their pork counterparts, you’ll be hard pressed to find a more flavorful cut.